Question: How can I access my iPhone files without using iTunes? A lot of iTunes users are looking for an iTunes alternative because of how many bugs, glitches, and how iTunes is lacking in features. One of the main things that iTunes users like to use iTunes for is accessing iPhone files and fortunately, we are going to be showing you some of the best iTunes alternative programs that can be used to access iPhone files. In this article, we are going to be showing you three different programs that you can use to access iPhone files from Mac/PC without iTunes. On top of introducing you to these programs, we will also be discussing some of the different features that they have to offer. 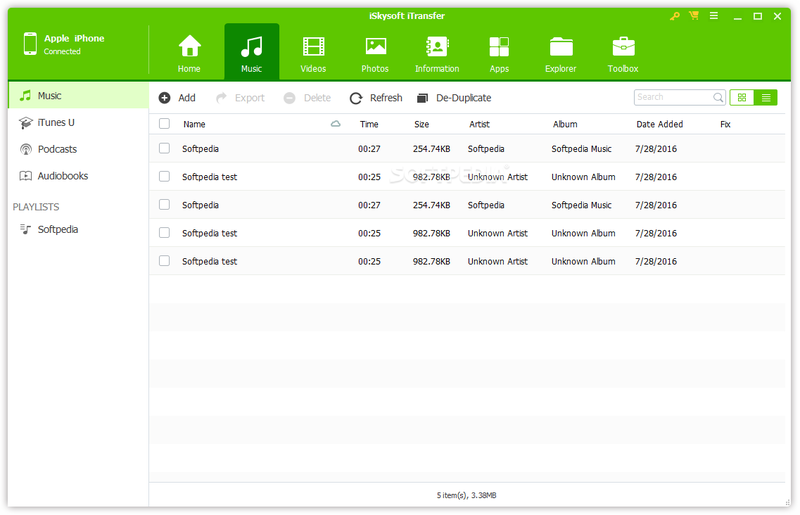 The best way to access iPhone files from PC or Mac is using the ultimate iMyFone TunesMate iPhone Manager. It does what iTunes does and does more than what iTunes does. You have the truly freedom to access your iPhone files without iTunes limits. Preview and access all kinds of media files on iPhone/iPad: music, video, TV shows, playlists, podcasts, audiobooks, photos, iTunes U, apps, etc. 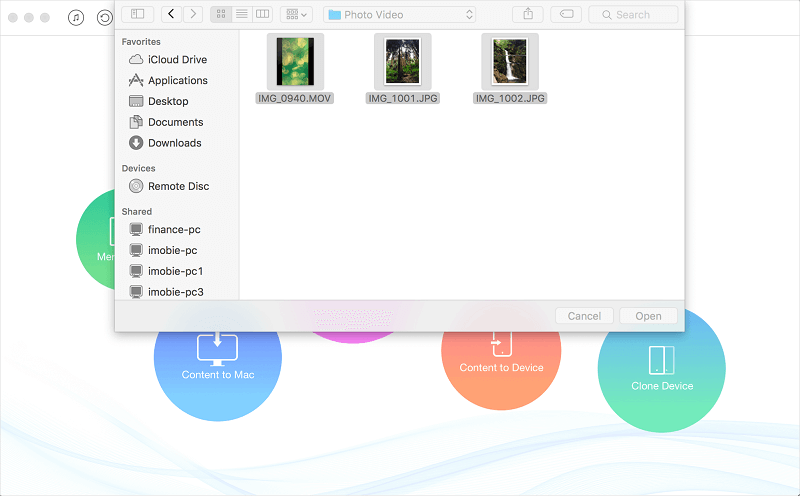 Smartly manage iPhone/iPad files: add new files, delete unwanted files, backup, extract, import, edit, etc. Freely transfer files between iPhone and computer/iTunes, without any damage to any files. Share your iPhone purchased or non-purchased media files with friends, even in different Apple IDs. Delete unwanted media files for free; Uninstall unwanted apps in bulk. iMyFone TunesMate has been positively reviewed by Geekreply, tricksworldzz.com, etc. Step 1. tart by downloading and installing iMyFone TunesMate onto your computer. Launch TunesMate and connect your iPhone with a lightning cable. Step 2. Select the tab from the top menu: Music, Videos, Photos and Apps. Music: You can access and manage music, iTunes U, podcasts, audiobooks, playlists. Video: You can access and manage movies, music videos, home videos, TV shows, iTunes U, podcasts, etc. Photos: You can access and manage the photos and videos in Camera Roll and Photo Stream. Apps: You can access and manage all the apps on your iPhone/iPad. If you want to learn more detailed steps, you can head to TunesMate Guide. Next consider iSkysoft iTransfer to access iPhone/iPad files on computer. This is another fantastic program which goes far beyond a simple iOS data manager. From transferring data between Android and iOS to sending texts from your computer – this is a program which has it all. Easily have all of your duplicate contacts merged and deleted from your device. You are able to transfer texts from iPhone to computer. It allows you to transfer data between Android and iOS systems. Tired of carrying a flash drive around with you? Instead, with the help of iTransfer, you can turn your mobile phone into a flash drive without any compatibility issues. 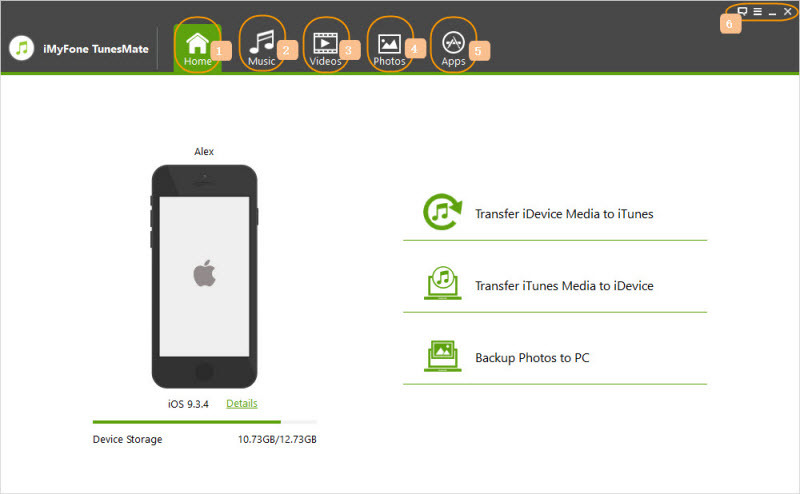 If you’re looking to stop using iTunes, you can start using iTransfer to take backups of your iPhone. Finally, consider AnyTrans to access iPhone without iTunes. One of the main features of this program is that you are able to not only take backups but browse the backup too. Manage all of your data from books to calendars, to notes and even your text message. Take backups of your iOS data and browse any of the backups which you have previously taken. This allows you to selectively restore those backups too. Transfer all of your data easily between iOS devices without experiencing any compatibility problems. Now that you’ve seen each of the different programs you can see that they all have different features which make them unique and useful to have on your computer. Which Way to Use for Accessing iPhone Files without iTunes? Access music, video, photos, app, etc.